Home / Saturday Slop / Saturday Slop: D.Hall Looking For A Team-Win In Chicago; Will Kirk Cousins win the Backup QB Role? So as we head into preseason week 2 for the Redskins tonight, here is the weekend version of the ‘Daily Slop’, a collection of Redskins news from around the web…as seen daily over on Hogs Haven. Thirty years ago this month, the Washington Redskins had a very young team that surprised the world and went on an unsuspected Super Bowl run, while enduring the player strike. 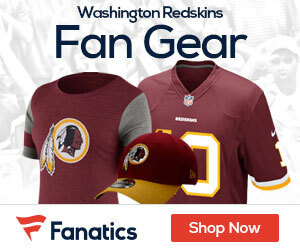 A Redskins T-shirt trumpeting a preseason matchup is not at all over the top. 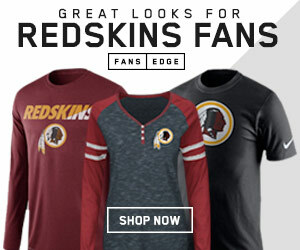 The Redskins Blog | ‘Hey Hey Hey!…’ That’s Chris Baker! Though it’s always great to see childhood photos of the Washington Redskins players, I’d say there’s very few guys on the team who have a picture of them posing in “Fat Albert” pajamas. But that’s exactly what Baker, the Redskins defensive lineman, posted last night. Redskins rookie RB Alfred Morris figures to see significant action Saturday against the Bears, and possibly could start. The Redskins’ place kickers hope Saturday’s preseason game in Chicago gives them their first in-game opportunity to compete for the starting job. Fred Davis looks set to be the top tight end on the Redskins depth chart, but can his run blocking ability stand up to the task of a number one tight end? Updates on Redskins’ great Darrell Green’s son, WR Jared Green, who is wowing Panthers brass in camp. Washington Redskins rookie QB Robert Griffin III allowed the media to peek inside his locker for the first time ever this week. Knowing what we know, we shouldn’t be surprised by what they found. Will Cousins win the backup QB role? A year ago, Josh Wilson had to learn the defense on the fly after arriving as a free agent during training camp. After OTA’s and minicamp, he fills much more prepared this season. Washington Redskins tightend Chris Cooley joins the “NFL AM” crew to discuss his recovery from injury and the upcoming season. Robert Griffin III established instant chemistry with Pierre Garcon last week against the Bills. Now he must turn to his other wideouts against the Bears. 2nd pre-season game means more than a sample size of snaps you’ll see the starters take. The starters will go about a half this game, so for all you fans crying about RG3 only playing 14 snaps last week…you’ll see more!8 Things I’m looking For: 1. The Redskins’ sixth-round rookie running back faces an enormous opportunity Saturday night. The Redskins held their final full practice before Saturday’s preseason game against Chicago. Redskins take on the Bears and here are the numbers to watch for. Again it’s not surprising that the most important part of the game I will be looking at is the play of Robert Griffin. I was impressed with his first career action versus Buffalo last week and look for him to continue against a solid Bears starting defense even without Brian Urlacher. As we head towards the 2nd preseason game I thought it would be a good time to take a deeper look at where the wide receiver position battle stand. Though there will obviously be an order for this group, the focus is on who is making the roster. That means I won’t be focusing on Pierre Garcon, Santana Moss, Leonard Hankerson and Josh Morgan, since they have their roster spots locked up. Also, I’m not going to really address any of the “camp bodies” at the position. Instead I’m focused on the guys who I think have a real chance to make it, and first up is the wide receiver battle. Next Story → Saturday Slop: Josh Morgan Excited to Make his FedEx Debut; Is RG3 Fast Enough to run Track in the 2016 Olympics?